Last Friday I managed to make a visit to a Eastern Creek racetrack Twilight session, it should of been called a twi-lite session with the amount of lite-weight Lotus there. Lots of the forum members from the AussesElises.com group came to have some fun from 5pm after work to sun down at 9pm. I dragged my dad down to the track after a hot hour long drive to get to the track in 30+ degree heat, it was too hot for even the air-con to handle with the roof on. I managed to convince a friend at work, Sarge to bring his new VW Golf R32 to the track also. At just 1 month old he wasn’t worried about running it’s V6 in smoothly obviously. 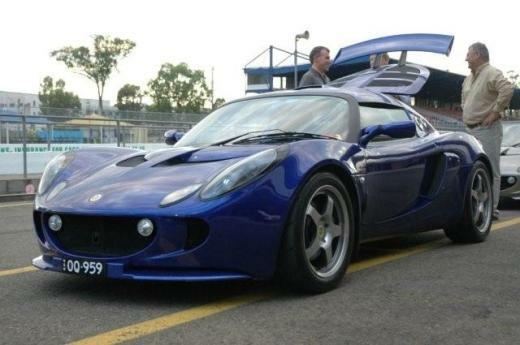 Also a friend from work Murad came too, it was his first time he saw a whole group of Lotus cars before being more a Ford/Holden V8 fan and he said he was very impressed with them he said. Sarge strapped a Video camera to the inside of his windscreen and at 8:30pm as the sun was setting this video was recorded. It was Sarge’s first ever time on the track so he was following my slightly more experienced lines on the track as best he could. He did very well for his first outing on a race track, I was very impressed with his quick learning and speed. Anyway sit back and relax as we see a brand new 2007 VW Golf R32 chasing down a 2007 Lotus Elise R at Eastern Creek raceway, Sydney AU.